That's the United Federation of Teachers, according to the million-dollar commercial I keep seeing on the morning shows. The politicians throw barbs at us but we never waver. It doesn't matter what positions they take because we're above it all. We're hard-working and passionate. About what I have no idea, nor does anyone watching the commercial. We show up every day. We teach kids every day. We walk around classrooms and call on our students. I kind of take that for granted. If the assumption behind the commercial is that this is unexpected in some way, shape, or form, I have to say I'm a little surprised. Some teachers, like those in the commercial, are young and good-looking. That may or may not be part of the message. Of course, being a lowly teacher, I can't be entirely sure what the message is. I'm also not sure who the commercial is directed at, or of what exactly it's intended to persuade them. Another thing I learned at the Executive Board was that there was a song called Rock Steady, and that it was recorded by both Aretha Franklin and some group I'd never heard of. Leroy Barr advocated for the Aretha version while Howie Schoor stressed the importance of whoever else sang it. The controversy raged all night while we upstarts from MORE/ New Action discussed class size and overcrowding, which did not happen to appear on the Unity/ Rock Steady agenda. Usually UFT commercials show up a few months before union elections. The last one showed Mulgrew running around with a UFT bus telling people what a great job we're doing. I doubt it gained him many votes because most of us can't be bothered voting at all. We're too busy trying to keep our heads above water. We're too busy trying to survive Danielson observations from Boy Wonder supervisors who need either glasses, brain and personality transplants, or all of the above. But the important thing to know, if you aren't fired by an insane supervisor for being rated ineffective, is we're Rock Steady. And it's true, you know. For example, we in the UFT haven't even tried to negotiate a reduction in class size in half a century. That's why there are still 34 kids in your high school class if it isn't oversized. (Unless, of course, you teach music or gym. Then you have up to 50 per class, 5 times a day, often on an alternating basis. So you might have 500 students a week. You also might be expected to not only know all their names, but also to differentiate instruction.) Like I wrote the other day, we don't bother with frivolities like air conditioning classrooms, and it's likely plenty of schools still use relatively toxic heating oil. Too bad we finally got rid of those coal furnaces. That would make us even more Rock Steady. It's a little ironic that the UFT claims to be above the fray even as they have a Clinton campaign office embedded at 52 Broadway. I only know this because Mulgrew told us at some meeting or other. I can't remember how many times I've been offered AFT-Hillary t-shirts over the last year. I guess that wearing them won't make me any less Rock Steady. 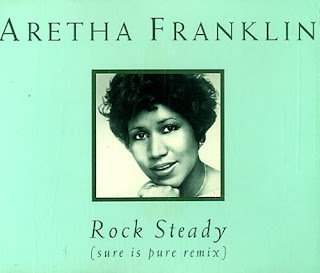 Here's the thing--I don't want to be above the fray, and I don't want to be Rock Steady, if that's what it means. I am absolutely partisan, and I'm always amused when UFT Unity commenters come here and accuse me of presenting only one side. Of course I present one side. (So do you, by the way.) I'm here to speak about what I believe in. That's why I've been Rock Steady in my opposition to leadership since 2005, when it dropped the UFT Transfer Plan in favor of the Absent Teacher Reserve, you know, the thing that gets smaller every year. It's therefore OK that over a thousand teachers haven't got classrooms. It's not easy, and it's not fun. But someone has to speak out for better education. Someone has to spend time thinking about what's wrong for our members and kids, and someone has to speak out about it. We will be rock steady in our advocacy for better teaching and learning conditions.You can invest our dues money in nebulous TV commercials that influence no one. But we will let people know exactly what you do, and when it's appropriate, exactly what you fail to do. We are, and will remain, rock steady in our advocacy for reasonable learning and teaching conditions. We will not sign loyalty oaths, and we will not sit down and shut up. Sorry if you don't like that. Fight us or join us. We're up for whatever. Update: There's also a song by Bad Company with the same name. I don't like it all that much, but here it is.